Has your garage door roller come off the tracks? A malfunctioning garage door is a major inconvenience, and you’re probably looking for a quick solution. Fortunately, fixing off-track rollers is a simple DIY project. 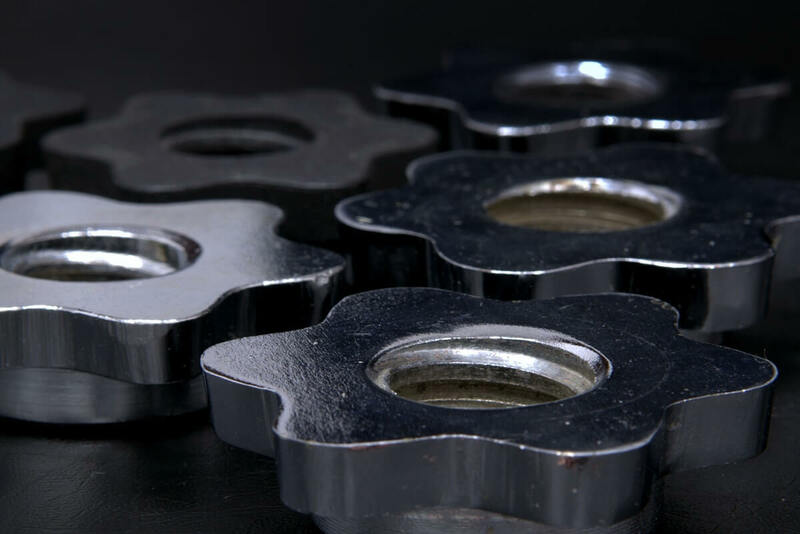 You don’t have to worry about messing with the powerful springs in your garage door, so you can safely fix the misaligned garage door rollers without calling a professional. Here is our guide for how to fix an off-track garage roller. Disclaimer: This information is provided merely for informational purposes, and is not intended to be understood as an official step-by-step guide, workbook, or approved safety manual of garage door repairs. Because of the danger inherent in garage door repair, all repairs should be performed by a professional. 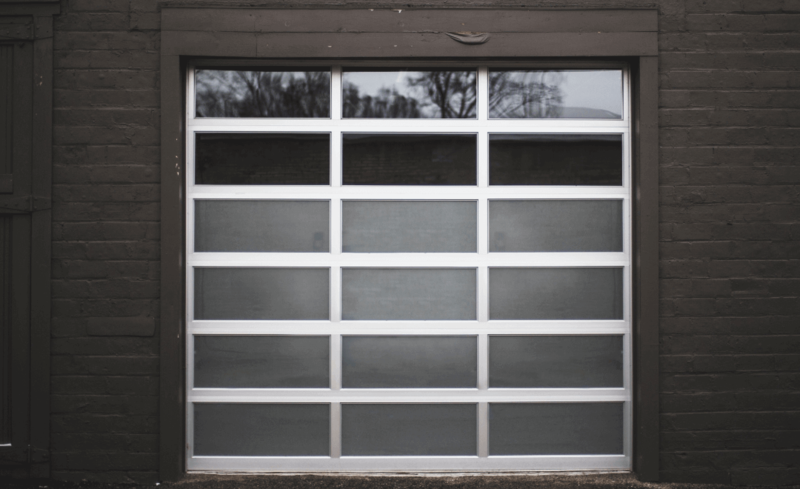 By continuing to read this article, individuals are agreeing that G&S Garage Doors is not to be held responsible for any repairs undertaken by any licensed or non-licensed individual following the information provided here. The rollers in your garage door allow the door to open and close smoothly. All the moving parts of a garage door need to be aligned for it to work properly. If you notice that the rollers have jumped the track, immediately stop using the door until it can be repaired. Continuing to use the door when the rollers are off track can cause serious damage to the tracks or even the door itself. If this happens, you will need to bring in a professional to realign the whole structure or replace bent door panels. Loose tracks: If the tracks themselves are loose or detached from the walls and floor, the whole structure could become misaligned, causing the rollers to get off track. Tighten any loose bolts before fixing anything else. Dented tracks: A serious dent or bend in the track can allow the rollers to come off. This is an easy fix – slide a piece of wood inside the track to act as a guide, and use a rubber mallet or hammer to pound the track back into shape. Tracks are out of alignment: Both sets of tracks should be parallel with each other and even with the ground. Use a level to check the alignment and adjust the brackets accordingly. Grime or debris buildup: Be sure the tracks are clean and clear so the rollers can operate smoothly. It is relatively simple to fix a garage door that has derailed. After troubleshooting the tracks to find the problem, you can now get to work putting the rollers back on track. Detach the door from the automatic opener by pulling the overhead string to disengage the opener. Now you will be able to open the door manually. Open the door partially so that one of the detached rollers is in line with the trouble spot on the track. Secure vise-grips to the tracks under the door to keep it open while you work. Use pliers to pry open one side of the track so the opening is wide enough to slide the roller back in. Repeat for each of the rollers that have come off the track, sliding them back in. When all the rollers are back inside the track, you can close the opening in the track. A simple way to do this is to put a small piece of wood inside the opened track which will support the shape of the track. Hammer the bent track back into the correct shape against the wood until it has returned to proper alignment with the rest of the track. Now you can remove the wood and vise-grips, and your garage door should function properly. Open and close the door manually a few times, to test if the rollers are operating smoothly. If you notice any more problems with jumping the track or misalignment, repeat the steps above until the whole track is in proper alignment. Reattach the automatic garage door opener. Your door should be good as new! Whether you are going to fix the door yourself, or call a professional, don’t hesitate to call us at G&S Garage Doors with any questions you may have. We would love to answer your questions. Thanks for explaining why the garage door rollers may have derailed from their track. 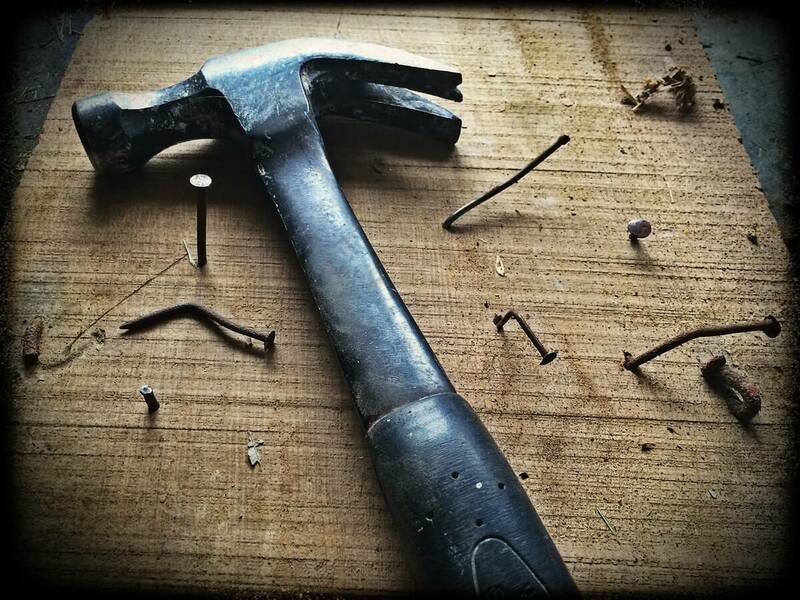 You mentioned that a dent can be fixed with a rubber mallet and a piece of wood. I think a dent in the metal track may be causing my garage to get stuck when opening and closing. However, I will plan on calling a professional to fix it as I don’t think I will be able to hammer it back into place on my own. If I have a roller that keeps coming off track and I did not find any of the above mentioned defects, could it be one spring is getting weaker than the other and causing door to lift crooked? Should I Heat My Garage?